Peppa Pig and her brother George are very responsible teeth owners! In fact, you could say that they are tooth proud. They’re both careful to brush their teeth thoroughly twice a day, every day, and just love to play dentist together. That’s why, when one evening at dinner one of Peppa’s teeth falls right out of her mouth and onto her plate, it throws her for a loop! Peppa’s parents reassure her that this is normal; it’s supposed to happen! And in fact, there’s a special lady who comes to collect all the baby teeth that fall out of children’s mouths: the Tooth Fairy! 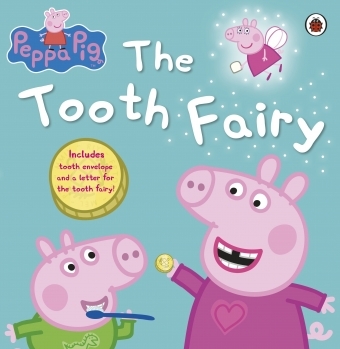 Pick up a copy of this fun book today, and find out if Peppa gets her visit from the Tooth Fairy!